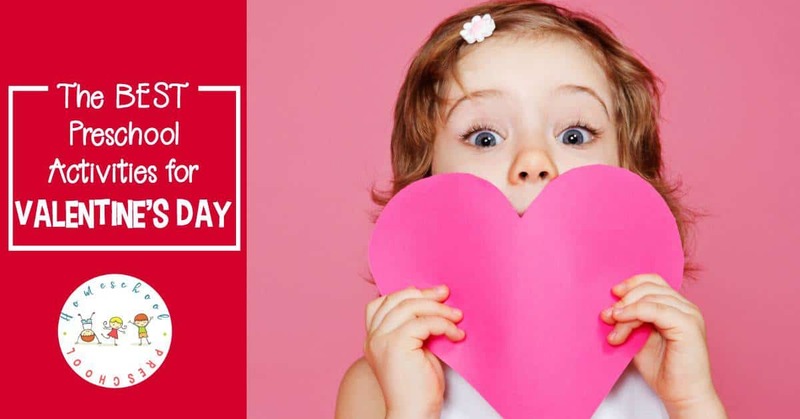 What an amazing collection of Valentine’s Day activities for preschoolers! It contains crafts, printables, books, and more! You’ll find everything you need to keep your kids busy and entertained all month long! I love teaching holiday themes to preschoolers. Valentine’s Day is a fun one! There’s such an abundance of topics to be covered, and no shortage of books, printables, and themed resources to incorporate into your daily activities. Below, you’ll find all of the Valentine’s Day posts I’ve written to date that you can use with your toddlers and preschoolers. • Hands-On Educational Preschool Valentine Activities – This collection of hands-on, educational preschool Valentine activities will keep your young learners engaged for hours! • 9 Easy Valentines Crafts for Preschoolers to Make – Preschoolers love crafting, and these Valentines Crafts for Preschoolers will make great handmade holiday gifts and decorations. Discover nine fun ideas! • 20 Valentine’s Day Sensory Activities for Preschoolers – Engage your little ones with one or more of these Valentine’s Day sensory activities for preschoolers and toddlers. Hands-on fun for little ones! 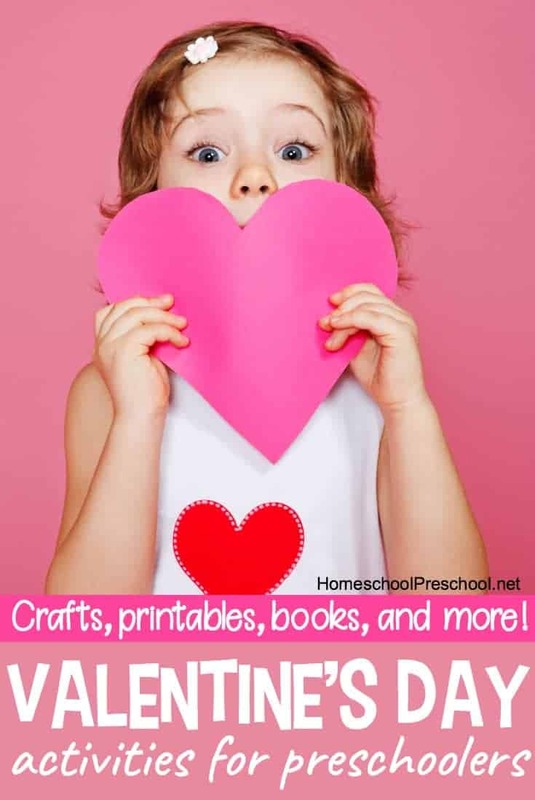 • 24 Kid-Friendly Crafts for Valentine’s Day – Come find a wonderful collection of fun and engaging kid-friendly crafts for Valentines Day! These easy craft projects are the perfect way to share some love. • 18 Engaging Valentine STEM Activities and Challenges for Kids – Discover 18 engaging Valentine STEM activities and challenges for kids! Find fizzing hearts, flying cupids, coding for kids, and much more in this collection. • 22 Homemade Valentines Card Ideas Kids Can Make – Your crafty kids will love all of these homemade Valentines card ideas! Set up your craft supplies, and let kids show friends and family some love. • Jesus Loves Me Valentines Craft for Kids – This simple Valentines craft is quick and easy, but it has a BIG message! Download the free printable, and let your little ones create a one-of-kind message. • Love Bug Valentines Day Countdown Chain – Your kids will love helping you make this Love Bug Valentines Day countdown chain! What a cute decoration that provides a little counting practice, too. • 22 Printable Valentines Worksheets for Kids – Happy Valentine’s Day! Here is a great collection of Valentines worksheets featuring activities that focus on early math and literacy skills, fine motor activities, and more! • Printable Preschool Valentines Day Learning Pack – These preschool Valentines Day learning activities are sure to put your little ones in the mood to learn while they celebrate the ones they love! • Animal-Themed Printable Valentines Day Cards for Kids – Animal-themed printable Valentines Day cards and coupons just in time for the big day! Print and pass these cards out to friends and family! • 21 Tasty Valentine’s Day Snack Ideas for Kids – Make these with your kids, or present them with a special afternoon snack. Either way, your kids will go nuts for these Valentines Day snack ideas! • Valentine Countdown Chain for Kids – Help your preschoolers count down to Valentine’s Day with this printable Valentine’s Day Countdown Chain. • 27 of Our Favorite Valentines Books for Preschoolers – This Valentine’s Day, snuggle up with your preschoolers and read one or more of these Valentines books! There are lots of fun picture books to discover on this list!